and tungsten for industrial catalysts. tungsten is used by some bacteria and archaea. and some tungsten compounds are harmful to animal life. You know what your mother would say about that. 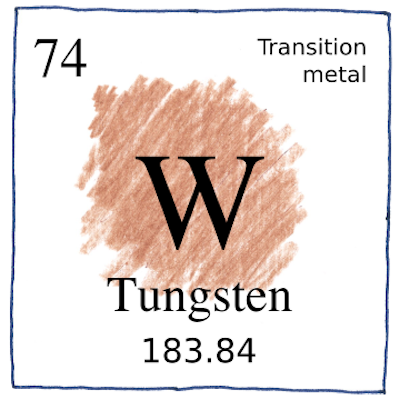 The chemical symbol for tungsten is W, for wolfram, the name chosen by the Elhuyar brothers and used in Europe. The name tungsten was not preferred because that was the original name of the mineral scheelite, CaWO4.